Hair salons are more diverse than ever these days and that’s put on full display in Vermont. With the constant updating of trends, styles, and cuts, hair salons are ever evolving. 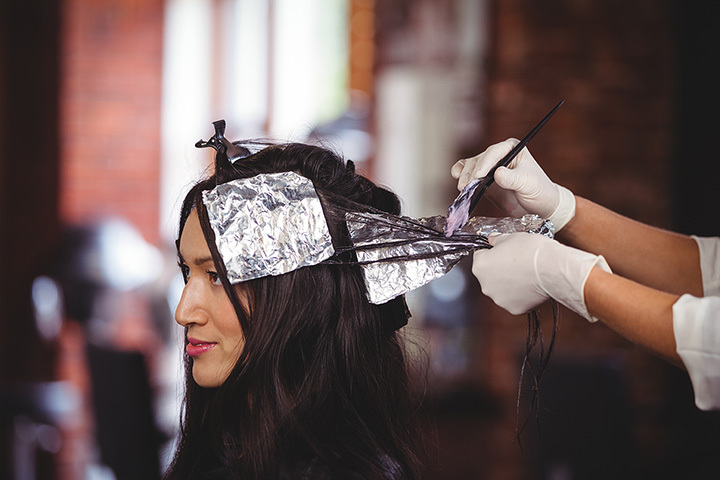 If you’re looking to completely transform your look or you just need to re-highlight your locks, these 10 awesome hair salons in Vermont will do the job. Established in 1987, Indigo Salon is owned by Stephen Bevilacqua, a member of Intercoiffure America/Canada. Offering services like cuts, stylings, coloring, conditioning, highlights, and keratin treatments, this salon is always looking for the best products and people to bring to the industry. For instance, you’ll find in-house formulated products like ZEROSULFATE shampoos, ANTIFADECOMPLEX color treatments, and more. The Family Hairloom is a family-owned and operated full-service hair and tanning salon that offers stand-up and lay down tanning units and four full-time independent stylists with over 50 years of combined experience. Established over 30 years ago by Liz Provencher, the Family Hairloom now offer services that include cutting, coloring, styling, facials, highlights, waxing, and a variety of tanning packages. His Hair & Hers is both a hair salon and a spa that has served the needs of children, men, and women, in the local Burlington area since 2006. In addition to haircuts, you will also find mani-pedis, colorings and highlights, and waxing treatments. Plus, by many accounts, the stylists here are both talented and attentive, and you will come away looking and feeling your best. Posh Salon is a salon, spa, and beauty supply store all in one that offers ammonia-free hair products, skin care products, massage, lash and hair extensions, waxing, nail services, bridal specialists, facials, and more. Moreover, you will also find mani-pedis, waxings, perms, balayage, and more than a dozen other treatments. Established in 2013, Do or Dye Salon is a salon and spa that promotes an upbeat attitude. Boasting hair services, nail services, facial services, and body treatments, Do or Dye is your one-stop-shop for beauty and hair essentials. Plus, don’t forget about waxing, scrubs, and even smoothing and lifting procedures. Avanti strives to provide a spa and salon experience that will relax, rejuvenate, and revitalize guests’ minds, bodies, and souls. Plus, the stylists there are not only required to take one class/year, but they are also committed to making guests the number one priority upon entering the Avanti door. Plus, here you will find haircuts, colors, waxing, nails, and even bridal treatments. Located in the heart of Vermont’s Queen City in the Church Street Marketplace, this Aveda Lifestyle salon and spa is the only one of its kind in the state. And, in addition to top-notch services and customer care, the philosophy at Stephen & Burns is to “uphold environmental, social, and personal responsibility,” making it one of the only salons in the state to be as conscious about sustainability as the services they provide. A Goldwell-concept salon, Scherdiva is focused on staying updated with current hairstyles, color trends, and new mainstream services, as well as becoming educated in on the fly styling solutions aimed at providing high-end results to everyday problems. Founded by Robert Dockstader in 2010, Scherdiva is 100 percent committed to customer satisfaction, and stylists will do all they can to ensure the customer has an enjoyable experience. This full-service Aveda concept salon offers hair, nail, and waxing services, as well as Aveda beauty products. Established in 1990, American Hairlines has always been committed to staying up to date on all the latest hair trends, and their five stylists will work with you to ensure you get the cut you want. Plus, you will find cutting, styling, and coloring services as well as mani-pedis, waxing options, and more. Another full-service Aveda-concept salon worth checking out is Salon Salon in the mountain town of Stowe. Here, you will find a plethora of salon and spa services, including Aveda coloring, highlighting, haircuts, balayage, keratin treatments, shellac, manicures, pedicures, massage, waxing, and more.